Next Show – Sunday 3rd December – 16:00 – get those requests in! Next Show – Sunday 3rd December – yes, we said December…..where has this year GONE? Anyway, 16:00 – get those requests in! Next Show – Sunday 12th November – 16:00 – get those requests in! No fireworks, but there may be some sneezing! 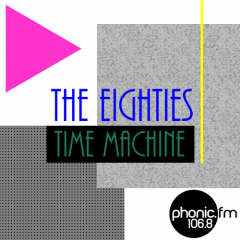 Join us at 16:00 on Phonic FM for fun, frolics and things that rhyme with frolics….